Maharashtra Minister Pankaja Munde has objected to the Marathi biopic ‘Sangharshyatra’, based on the life of her father late Gopinath Munde, claiming that the film's producer did not take permission from their family before making it. However, producer Sanjay Singh Suryawanshi has decided to go ahead with the film's release next month. He said the film that was initially supposed to be released on December 12, 2015, the birth anniversary of the late BJP leader, will now be released on January 12, despite the objections raised by the Munde family. 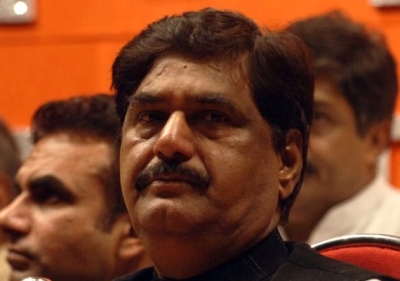 Sandeep Ghuge, along with three other members of the BJP's 'Chitrapat Union' had in December 2014 announced their plans to produce a Marathi film based on Munde's political and family life. Marathi actor Sharad Kelkar plays the lead role in the movie, which covers Munde's life since his days as a student leader in 1972 till his death on June 4, 2014. The movie was initially supposed to be released on December 12, but the family of the late leader, especially Pankaja, raised objections to it. Pankaja, however, said she has no objection over the release of the movie. "The producers of the film did not seek permission from us before making a film on my father, who is a political legend. We need to know what they plan to show about my father. Since we did not know anything, neither I nor did anyone from my family participate in any promotional activities of the film," she said. Suryawanshi on the other hand says that he does not need permission from anybody to make the film. "We do not need any permission to produce a film. We are ready to release it on January 12," he said.